Daniel Ricciardo will be hit with grid penalties at this weekend’s Canadian Grand Prix. 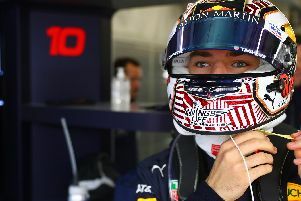 The Red Bull Racing star, who managed huge power deficiencies to win at Monaco last time out, will have to change engines out of sequence in Montreal, meaning he will likely be out of contention for his third win of the season. Ricciardo won his first race in F1 in Canada back in 2014.